It looks like there’s no escaping the ongoing resolution escalation race – be it in mobile devices or computers. So, in a way, an 8K iMac makes perfect sense. On the other hand, the existence of this device has been leaked by LG – and such a big company doing something like this isn’t something you see often. 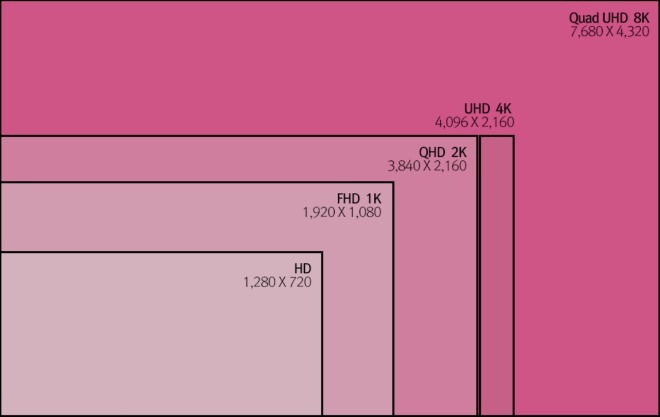 LG Display is one of Apple’s biggest suppliers of screens, and last week it published a piece explaining 8K (7,680×4,320) resolution panels, obviously saying this will be the future of display technology. Buried in that report, however, was an explicit mention of an 8K iMac that Apple is working on. The exact quote from LG’s document follows: “Apple has also announced that they will release the ‘iMac 8K’ with a super-high resolution display later this year”. The only problem with that statement is that Apple has done no such thing. The company has not said one word about an 8K iMac. This begs the question – does LG have access to an Apple roadmap, since it’s such an important supplier for the iDevice maker? Or is this nothing but an error on the Korean company’s part? Unfortunately we’re probably not going to find out which it is in the near future. Though obviously if there is an iMac 8K in development, then it should become official at some point – and that in itself will confirm LG’s report. Last year, Apple launched the 5K iMac, which bested the competition in terms of resolution, so the Cupertino company may decide to do the same thing before the end of 2015, with an 8K panel no less. Then again, it may not, so don’t take this for granted just yet.